I try to avoid mentioning the weather on Tenerife where possible as it’s a topic that has been done to death. But it is understandably important and yet still many people get it completely wrong. Subsequently the weather on Tenerife is as misrepresented as the populist image that Tenerife is one big dry rock that is like a Britain in the sun circa 1985 where Rick Astley adds the soundtrack and the whiff of dated pub grub like chilli con carne provides the aromas. Forget weather forecasts that give one, or even two forecasts for Tenerife and forget the tired old saying the south is sunny and dry, the north is cloudy and wet; it’s just not as simple as that. 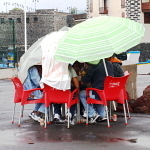 Here are 10 tips to understanding the weather on Tenerife starting with the big misconception. The south is sunnier, drier and warmer than the north, that’s a fact. But it’s all relative. Tour operators and people who don’t know the north of Tenerife will state with confidence that it’s cloudy, cool and wet. Consider these other facts. 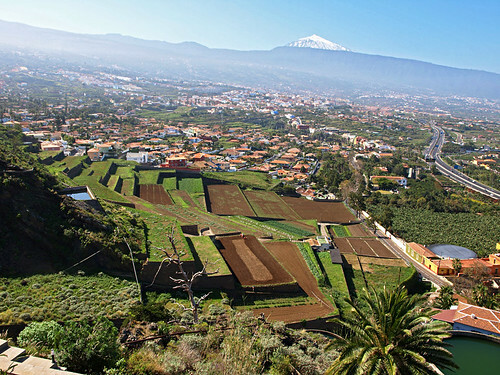 The bulk of settlers, noblemen and artists chose the north of Tenerife to live in following the conquest in 1496. When Victorians were sent to a temperate climate for the benefit of their health, they were sent to the north of Tenerife. Temperatures in the depths of winter don’t normally drop much below 20C (68F) and it stays in the upper 20s to low 30s in summer. The north of Tenerife can be cloudy and it can rain in winter months but it isn’t the default setting. There are not, like one half-wit on a travel forum stated, only 3 days sunshine a year in Puerto de la Cruz. What Do temperatures in Celsius Actually Mean? I get the impression from various online discussions that some people don’t understand Celsius so when the weather forecast for Tenerife says it’s going to be 20C or 30C, it doesn’t mean a great deal. 20c is 68F and generally speaking the ‘coolest’ daytime temperature in Tenerife’s coldest winter months (Mid January to end of February). In Palma Majorca at the same time it is 11C and in Malaga it is 12C. 30C is a whopping 86F. You might think that sounds great but lie in it for any length of time and you’ll be charcoaled. Around 25C (77F) is perfect and that is what all of Tenerife’s coasts experience for much of the year. Yes it does rain on Tenerife, even in the south but not much and usually not for long. In the north, where there is more rain, it often falls in winter, at night and doesn’t last long. Short, very heavy downpours are common during seasonal changes (i.e. summer to winter and winter to spring). Most rainfall will happen in the hills. Actually that one’s not far wrong – but it isn’t always in the same place or all day. Blue skies are almost a given in Las Cañadas del Teide but everywhere else will experience their share of cloudy days. Even on a cloudy day on Tenerife, the sun can often break through at some point. There have been a couple of hairy storms in recent years but whether they have been caused by climactic change who can say. What is certain is that they are not a new weather phenomena. Tenerife has experienced times of extreme weather in its history. But thankfully they don’t occur too often. What Does Having Many Micro Climates Mean? It means that the weather can be different from the coast to the hills to the mountains; from one valley to the next and on north, east, south and west coasts. It is why when anyone says Tenerife is an island of contrasts it is not a cliché. It is also why any weather website with an umbrella catch all forecast is not to be trusted. Use AEMET, the Spanish Meteorological Office or our interpretation of their predictions on Walking Tenerife for a forecast that breaks down different areas of Tenerife. Think of these as common sense warnings. Yellow means low risk and you’ll hardly notice anything. Orange means some serious weather coming. Red means stay inside, batten down the hatches and pray. These are issued in relation to wind, rain, heat and sea conditions. The most misunderstood alert is for sea conditions. Often when there’s an alert for ‘costas’ it can be glorious weather on-land. Whether the sea is warm enough to swim in all year depends on individual neshness level (i.e. what you consider too cold). In truth sea temperatures vary little between summer and winter, but the temperatures once you get out do which can make it seem colder. For me, It’s pleasant to swim in at any time. Be wary of anyone in one part of Tenerife telling you what the weather is like in other parts – there can be all sorts of motivations for talking down weather in other areas of the island, so only ever believe what a person in situ says. When we summarise the weather on our Walking Tenerife website we base it on what we have either experienced ourselves, what friends in other areas tell us and what people say online about the places they live or are visiting. Even webcams can’t be trusted but that’s another blog. 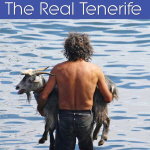 Tenerife has been known for having a good, if not almost perfect, climate for centuries. You might get unlucky and experience a cold or wet spell in a 12 month period (rare during summer months). But most of the time the weather ranges from warm to hot. Enough said. And finally, here’s an eleventh tip thrown in as a bonus. Despite what even some people who live on Tenerife seem to believe, when the weather in the south is bad, it doesn’t mean the weather in the north is worse – that’s just silly. We had bad weather in Adeje for seven soild days. We decided to hire a car and found the east coast upwards from El Medano to Guimar to be sunny more or less all day and every day – albeit a little windy. We learnt this lesson from a local in Lanzarote, who told all the Canary Islands are like this. It’s always sunny somewhere unless you are very unlucky. So make sure you hire a car if sun is important to you. In our experience, the east coast is often sunny when other parts are in cloud. The far south west is good as well. These are the true sun spots (as well as Teide) on the island, relatively speaking as it is a sunny island… usually. Staying in Puerto de la Cruz 10 days on our first time in Tenerife has brought up a number of questions in my mind. Almost every morning, and often during the day we have had a bank of cloud offshore, obscuring the Atlantic horizon.Behind, the usual cloud at the forest ‘corona’ or crown on the slopes of the Teide volcano. Being a seasoned geography teacher I theorise, but would appreciate confirmation from local meteorologists: An island facing westerly Atlantic winds,with clear leeward rainshadow; Azores high to the south, canaries (cool) ocean current upwelling offshore off the African coast. That explains the variability perhaps, but not (to me) the bank of cloud offshore. I will write to Roberto Brasero of Spanish TV’s A3 ‘Tu tiempo’. Spain has sone very good weather news programmes and forecasters. It’s a good question and asking local meteorologists is definitely the thing to do. Weather patterns have been slightly different this year. A number of people in the south of the island have commented that there has been far more cloud than normal and that it hadn’t been as warm (until recently). On this side (north), cloud in early summer isn’t unusual and we can sometimes be affected by what is known locally as the panza del burro, when grey skies hang about for weeks. Things change again come the middle of August when it’s usually hot and sunny everywhere. The bank of cloud out to sea is unusual though. There’s a little trick on Tenerife that is sometimes used to ‘show’ that the weather is sunnier than it actually is. Point a webcam out to sea and more often than not it will show blue skies. Point it inland and it’s a different picture. Those responsible for webcams in the north of the island haven’t sussed this out yet (whether it’s cloudy or sunny is generally less important to Canarios). What the weather like on southwest tenerfif in march please? Can u tell me what the weather like on southeast tenerfif in march please? The south east and south west are the sunniest areas of Tenerife so, if it’s like patterns in previous years, it should be mainly sunny with temperatures of between 22C and 25C in the shade. You will be fine in Adeje..22 degrees. I am visiting Tenerife, Guia de Isora, 11th July, and I am stunned that the forecast is 21 degrees. is this correct??? surely an island off the coast of Africa would have hotter temperatures than this in July??? For a start Michelle, forget any forecast that far ahead – it’s meaningless. Secondly, temperatures shown on weather sites are shade temperatures, so often very different from what the temp is when standing in the sun. Thirdly, most weather stations are in the hills where the local population centres are rather than at resorts. Guia de Isora’s is at nearly 600m above sea level. It makes a big difference. You’d have to be unlucky for it not to be hot in July. Guía de Isora is located at higher altitudes, 21 degrees is a bit low, however night temperatures are not much lower. Consider the cooling ocean. In contrast, there may be more than 30 degrees in October. Is Tenerife on course for a cool august, as it looks to be the case according to the forecasts? I’m there for the first two weeks ant temperatures appear to be between 19_22c! 20 degrees in July may be correct for Aguamansa in the north of Tenerife with that typical fog cover in August at a certain altitude of 1,000 metres. 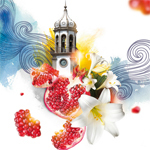 I am heading to Alcala on the Mid south eastern part of tenerife, at the end of August/ beginning of September. I was shocked to see on a few weather forecasts that it is to be at highest 22 degrees, with slight drizzle and clouds, is anyone familiar with this time of year? Hi Pamela, see previous comments for the answer to that 🙂 Today it is 37C in Alcala. Can I ask what weather sites you used? There have been a few of these comments recently and I’m curious to know which sites are giving out misinformation. I’ve just picked a couple at random and the first readings for some dates did show 21C. But those readings were for 6am. The ones for midday were quite different. Apologies for not replying sooner, we’ve been hiking in Bavaria over the last two weeks. It’s easier to say where the windiest parts of Tenerife are. The south east is generally breezy and that stretches to the likes of the main southern resorts such as Los Cristianos, Playa de las Américas and Costa Adeje. However, they’re not as breezy as south east resorts. Everywhere else is mainly wind free. The south west from Los Gigantes to Playa San Juan is generally a good bet. We have flights booked to Tenerife on the 1st Jan 2017. I am wondering where is the nicest , warmest area to stay. We are not keen on Playa das Americas. We are a couple and two teenage boys. Where would you recommend? Apologies for not replying sooner, we’ve been hiking in Bavaria over the last two weeks. Generally the resorts with the most sunshine are in the south west between Los Gigantes and Playa San Juan. The downside might be that they are quiet resorts and there might not be enough going on for teenage boys. I’m looking to go on a hen do beginning of March 2017 but concerned it’s not warm enough to sun bathe or lively enough in the evenings as it’s still classed as a winter month. Can you help shed any light on this. Or recommend anywhere on the island? The Canaries are subtropical islands, the season is year round as is the warm weather. March isn’t as hot as summer but it’s warm enough to sunbathe any month of the year on Tenerife. We went to Golf Del Sur in July this year 2016 and the wind drove me mad it ruined our holiday so we are looking at going to Costa Adeje sorry if I have spelt that wrong late November so is it windy here as well as I don’t want to waste my money on another holiday that is ruined by wind. We went to Golf Del Sur last October and it was lovely but very apprehensive now of where is best to go. Please can you advice me as im disabled so need the heat. The area around the south airport and along much of the south east coast is notoriously breezy. If you head further up the coast you’ll see it’s where the island’s windfarms are mainly located. The west, south and north are nowhere near as windy and mainly enjoy calm weather. The further south west you go, the less breeze. The only thing about November is that it can be one of the poorest months for weather, ironically as it’s a very popular month with Brits. In late October/November the seasons change so sometimes there can be windy spells in places that aren’t normally breezy. But they don’t usually last very long. Hi we are traveling to Puerto De la Cruz on Thursday 13th October 2016 for a week, the weather forecast is rain mostly for that week. As we have never been to Tenerife before is it likely to rain all day. I’m debating whether to change our hotel now for one in the South. Hi Lee, I’ve just published the weather forecast as provided by the Spanish Met office on our Tenerife walking website. You might find it interesting. Here’s the link. I’m afraid rain is forecast for most parts of Tenerife at the end of this week. In fact also for tomorrow in the south of the island. However, on Tenerife it doesn’t mean it will last all day, especially at this time of year, and the Spanish Met office also show sunshine for the days where rain is predicted. thanks for running this site – I find it very helpful. I booked a flight to Tenerife South, arriving on the 10th of December, staying for one week. Now I am deciding on a hotel. My first pick was a property near El Médano but it seems this is the breezy area, and I would prefer to avoid the wind. Also, after reading your articles, I believe I would enjoy the north better… Let`s hope early December will not be too bad weather-wise up there. Thanks again, and keep up the good work! Cheers. Just a quick follow-up. I spent a great week in Puerto de la Cruz from 10th to 17th of December. Weather-wise it was just perfect – 25 C and sunny most of the time, except for one day when it was cloudy and there was light rain in the night. Overall, I was happy to choose the north and I would go again. We are considering a holiday in Tenerife over Christmas for the first time. We have no idea what to expect and a lot of the forums seem to have conflicting advice. We would like to choose the resort with the best chance of some winter sun. Can you help? There is no guarantee anywhere, although December is usually a sunny month on most coasts. But for the best chance of sunshine the south west resorts around Los Gigantes are generally sunnier than the main southern resorts of Costa Adeje, Las Américas and Los Cristianos. We are visiting Tenerife from December 21st to 31st. I am looking at property in Icod de Los Vinos. The place I have fallen in love with is 8oom above sea level. Do you think it might be a mistake to book there at this time of year, when we hope to spend some of the time just chilling out and sunbathing? The area around Icod de los Vinos is lovely and there’s lots to explore. Rural accommodation here is definitely great for chilling out, but 800m above sea level anywhere on the island in late December won’t be so good for sunbathing; you might find it on the ‘fresh’ side. Apologies for the slow response, we’ve recently returned from a trip to Chile and are still catching up with things (Christmas getting in the way as well). When you say San Miguel de Abona do you mean the town of San Miguel de Abona or a town within the municipality of the same name? There are huge differences. The town is a traditional Canarian town in the hills whilst the resorts on the coast in San Miguel de Abona have a very different personality. It’s breezier on the coast than in the hills. Being on the east coast the breeze is pretty constant, but it’s generally nothing to worry about. It’s good for windsurfing and kiteboarding. You’re probably looking at an average of between 5 and 15km. As for direction, it varies. This week it’s due to come from the E, NE, S, SE and SW.
We’re visiting Los Gigantes in mid February for 1 week. The long-term forecast isnt great though, we were hoping for sunshine and warm weather! We don’t take much note of long range weather forecasts and only use the Spanish Met Office which we have found to be more reliable than anywhere else as it breaks down the forecast into specific areas. But they only give a forecast for 7 days in advance. However, mid Feb is often when the weather isn’t at its best on Tenerife. Saying that, if it isn’t warm and sunny in the Los Gigantes area the chances are it’s unlikely to be warm and sunny anywhere on Tenerife as that area is one of the reliably sunniest spots. Thank you! Does it follow that the opposite side of the island to wind direction always has the best weather? For example if the wind is blowing from the West should we move around to the East for sunshine? It doesn’t work like that Joe. The south east is predominantly sunny… and windy 🙂 The south west where you’re staying isn’t anything like as windy. Hi jack thank you for your Email it helps a lot. We’re heading to Tenerife in April – Santa Cruz. Is the weather ok there or am i better going near los gigantes area? Like we say a lot, these are subtropical islands – the weather is good on all coasts all year. However, what constitutes ‘good’ depends on the main purpose of anyone’s visit. If someone’s coming for sunshine and the beach, then one of the southern resorts is best. But if someone is more interested in local culture and good weather rather than just sunbathing weather then other parts are better. As it happens Santa Cruz enjoys more sunshine hours than the southern resorts. But if you’re weighing up the difference between choosing Los Gigantes or Santa Cruz there are a lot more factors than the weather to take into account. Los Gigantes is a pleasant, purpose built resort designed mainly for British visitors – it’s quite small and relatively quiet and a good base for exploring. Santa Cruz is the island’s capital and subsequently is a hub of culture where mainly Canarios work and play. Very different scenes altogether. Jack, looks like theres a storm moving down from the coast of Portugal to the Canaries in time for our holiday. Wind and rain coming in from the west of the island, which I know is unusual. In this situation, would the eastern side be better? It’s like I said in an earlier reply Joe, mid February is the time when the weather isn’t the greatest. Atlantic storms usually have some impact at this time of year.But it is impossible to predict how severe and where will be affected most exactly until the last moment. We’ve had weather alerts in the north and the weather front has affected other parts more. And vice versa, there have been alerts for the south and we’ve been hit hardest in the north. At the moment there is a yellow level alert for heavy rain for the metropolitan area and the north and a yellow level alert for winds of up to 80kph in the south, west and east. In fact an alert has been issued for all of the Canary Islands. Usually though it doesn’t last long. I’m thinking of going to Tenerife in may where would be best place/area to stay for the sunny hot weather? Will it be warm in may? I’ve been looking at las caletilla? The south east side of the island where Las Caletillas is located tends to be very sunny most of the year so a decent choice, especially if you’re looking for a resort which is a bit different from the southern ones aimed at mainly British visitors to the island. Hi I’m hoping to visit Tenerife in June with a 1yr old. We have found a lovely hotel in Las Caletillas but searching for the average temperature online, it appears to average 17oC in June. Is that one of the sites mentioned previously that is inaccurate? Obviously with a young baby I don’t want baking hot temperatures, but as long as it’s warm enough to swim in the pool/sea comfortably! I appreciate different regions will have different temperatures, but 17 in June?! Many thanks. Simple answer Jasmine, it’s wrong. Las Caletillas is in one of the sunniest spots on the island. It’s a quite different scene there than in the southern resorts. Thank you for the prompt reply Jack. We are looking for a quiet scene so I think this may be just perfect. I’m looking forward to visiting with my family. I’ve booked a holiday to Puerto de la cruz for mid September. I’ve been googling the weather and I’m so confused. A few have been saying it will be warm but really cloudy, was hoping for some bright sunshine. If you’ve been looking for advice on sites like Tripadvisor I’m not surprised you’re confused. Lots of people simply don’t understand how weather patterns work on Tenerife and apply something that happens in one period to the whole year. For example, some years in early summer Puerto de la Cruz can be affected by a weather phenomena which means although it’s hot, it’s cloudy. That’s happening this year. Normally when this has happened in the past it moves off about mid-August. September is our favourite month for weather in Puerto de la Cruz as, in over a decade of living there, it has been reliably sunny with perfect temperatures. Unless you are seriously unlucky, you should experience the same. Thanks for running this site. A group of us are going to Tenerife for a week spanning the end of February and first days of March next year. We’re going mainly to see plants but want to know what weather to expect — as in what clothes to pack. We’re staying in Garachico and Vilaflor. I see Vilaflor is at 1400 metres. What sort of weather should we allow for, in terms of clothes to take? I’d take layers Heather. Feb/March is change of seasons and the weather can be a tad unpredictable. You could find it’s a case of layers on/layers off on walks at altitude. But you shouldn’t need anything too heavy duty. We’ve only ever needed a light fleece and light waterproofs during the day, even walking at 1400 metres. I don’t know if you seen our post to what to expect from the weather every month on Tenerife. Thank you Jack. Layers sound good. I found your weather for every month article after we’d decided to go there end February/start of March and it made me a bit worried about our choice of timing. Fingers crossed! There’s every chance it will be glorious Heather. It’s all relative anyway, bad weather doesn’t last long on Tenerife. A couple of years ago we got drenched walking from the Hotel Villalba to the plaza in Vilaflor in March. By the afternoon, after a stint in a nearby bodega, we were walking in sunshine. The following day we enjoyed the most beautiful weather for our walk from Vilaflor up to Teide National Park. By the way, look out for early flowering tajinaste rojo in Vilaflor. Occasionally they’re out in March there. 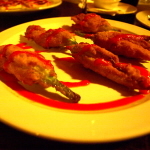 Thank you very much, and for the mention of tajinaste rojo. Me again! Hope you don’t mind Jack. But what months are there mosquitoes in Tenerife? As we’re going at the very end of February and first days of March, staying first in Garachico and then Vilaflor, those are the times and places that interest me but I guess this is of interest to lots of people for the whole year. There aren’t many mosquitoes on Tenerife at any time. I get the odd bites over the course of a year, usually in late summer, but nothing like when I travel to some other hot destinations, and our house was in a banana plantation near the coast. In Feb/March you really shouldn’t have a problem. Hi Jack , me and my 15 year old son went to Los Cristianos at the end of August / beginning of September. We loved the resort , the weather was lovely although cloudy some days.We are thinking about going again at the end of December , do you think we’ll see some sunshine ? There’s no reason why not Wendy. My husband and I are planning to go to Teneriffa for one week in the beginning of december. We really want to go to Teide, to look at the stars at night. I can´t find information about the temperature at the top. 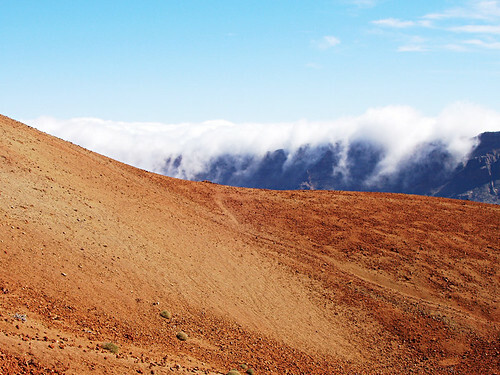 Do you know about the temperatur on Teide? Is it enough to wear jeans and winter jacket? Thanks! Your site is chock full of interesting comment and advice. We are visiting in Late December. We want to avoid the resorts of the south and visit Puerto and the north coast, taking in stargazing on Tiede and botanical trip into the north forests. Your hotel reviews are really useful, but of course you don’t review any Puerto hotels as you guys live there. I was wondering if you had any views on the Puerto hotels – i am thinking of the Hotel Botanico for 2 adults and 2 teenage boys 16 and 14 – one slightly more sporty and one more thoughtful and academic. Any views on hotels in puerto, or resorts? Apologies for the slow reply, we’ve been hiking in the Algarve over the last week. We’re a bit behind with our hotel reviews and have actually stayed in a few in Puerto. It felt a bit off popping down the road to stay in hotels we could walk to from our house 🙂 Hotels aren’t Puerto’s strong point, not when compared to the newer luxury hotels in the likes of Costa Adeje, although they are improving. 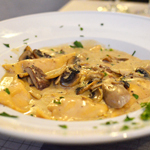 The Botanico is the best hotel in the town and although it doesn’t cater specifically for families, there is probably enough interest in an around the hotel for lads that age and with those interests. Tigaiga is a very good family run hotel but aimed more at an older age group. Mind you, late December and most hotels will have mostly more mature guests. The Rui Garoe in La Paz might be a worth a look. It’s more modern than some other hotels around the town and has squash, tennis, mini golf plus RIU is a decent brand. There are a couple of new hotels we haven’t tried yet so can’t say what they’re like. This article is rather misleading as northern Tenerife is cooler, cloudier, has more rain and fog in comparison to the south so is more comfortable for existence and this explains why the older cities are in the north. Like it says in the article Ed, it’s all relative. Having spent over 14 years living in the north I don’t define it as being cool, cloudy, rainy or foggy. But it does experience more of each of those than the south and as a result is far better for farming etc. which was why more Canarios ended up living there post-conquest. Another thing worth considering is that to define the north (or the south for that matter) as having one climate is a contributing factor why so many people misunderstand the weather on Tenerife e.g. The weather patterns in La Laguna aren’t the same as Santa Cruz or Puerto de la Cruz (both of which also experience different patterns). And some parts of the north east coast have significantly different patterns to other parts of the north coast. Please can you help me? I have booked to come to Peurto Del A Cruz on the 3rd Jan 2018. Lots of people have told me to change my holiday to the south as its not very warm in the North and very cloudy! I am coming on my own for a bit of rest and sun, all I want is a nice place, lots of sun and warm weather (and a cocktail). Should I be concerned? Should I change to the south? Please I would really appreciate your thoughts. In all honesty, if sunshine, rest and cocktails are the main things you’re looking for then I’d agree with the people who have advised you to think about changing to the south. Saying that, January is usually a sunny month in Puerto and the folk who say it’s not very warm in the north are talking tosh. For example, the Spanish Met Office show the temperature in the shade in Adeje in the south as being 22C today, whereas in Puerto their reading is 23C in the shade. Most of the time it is warmer in the south, but only by a couple of degrees. How is the wheater the last couple of years in Puerto del la Cruz, the last week of august and the first week of september? How much of the day it is cloudy? Hi Anita, it’s impossible to say exactly how much of a day a couple of years ago was cloudy 🙂 But the weather at the end of August and beginning of September is usually very good with plenty of sunshine. There is a weather condition which affects parts of the north in early summer, and it doesn’t happen every year, but when it does it usually moves away by mid August. This is a very informative fourm. Thank YOU! I am looking to travel to Tenerife 26/12/18 for 7 days.. I haven’t been to Tenerife before but travelled at christmas just gone to lanzarote. Weather was okay but the wind was a bit much at times. We’ve spent time on Lanzarote as well and think it’s significantly breezier than Tenerife. Once you move away from the south east coast, Tenerife isn’t a windy island, especially the farther west you travel. Costa Adeje is good for access to Siam Park, and the resorts further west (around Los Gigantes) are even better for sunny but windless weather. We are travelling to Las Caletillas in March this year has the weather in the North of the island been steadily warm ie: what temperatures can we expect – rain fall thank you. I am thinking of coming to Tenerife for 4 days in April with my 22 year old daughter who needs some sun. We don’t like over commercialised areas can you recommend a good part of the island? Apart from sunshine, what it depends what you look for in a destination. It cam make a massive difference here as there are wildly contrasting resorts/towns. Here’s a piece I wrote this week about the differences you find around the island. And these are others which might help. One is a brief guide to towns and resorts on the south and south west coast. The other is a brief guide to towns and resorts in the north. Hi Jack, Me and my fella are going to PDLA in one week, on 26th Feb 18. I’m very worried as the weather forecast is mainly for rain and cloud with some odd spells of sunshine and only reaching 21 degrees Celsius. Is there any way you could set our minds at ease about these forecasts or are we doomed for a week of shoddy weather and the realisation that we’ve just wasted over a grand on a wet holiday? Any (good) advice/info will be greatly received. We’re basically after a week in the sun after a crappy, really cold winter here in the UK and we’ve both just gotten over a nasty cold virus, we just want some glorious sunshine and days out where we won’t need to wrap up warm or need an umbrella. We’re hoping to go the castillo san miguel for the medieval night and siam park to name a couple of outings but according to the weather forecast, it’s gonna be a crappy, cloudy, wet week. Thanks for any encouragement you may be able to give. Mel. At this time of year I wouldn’t guess what the weather will be like more than a week in advance as Feb is one of the more unpredictable months in the Canary Islands. The Spanish Met Office site we use only have a forecast until 25 Feb. Here’s a link to another post with what you can generally expect each month. But the weather on Tenerife isn’t like the UK, if there is rain, it usually doesn’t last long and a rainy day might not be a full rainy day. Sometimes when it shows rain in a forecast it happens at night and the days are sunny. You’d have to be really unlucky to get a really bad week without sunshine. Weather forecasts, even the best ones, rarely reflect exactly what the weather will be like throughout the day. Thanks Jack for taking the time to reply. I guess we’ll just have to keep our fingers crossed and hope for the best. The weather forecast often makes it look worse than it actually is, and never as warm as it really feels in the sunshine. I’m sure you’ll have a great time. Hi Jack. We are currently in Tenerife and the weather is somewhat cloudy and promised for the week. Wondering do you think a trip to Teide is worth it or how we can find out the visibility for there? We’d be doing the cable car. Thanks! Looks like you might be really unlucky over the next week. There’s a yellow level weather alert for heavy rain for today. Tomorrow looks better but there’s another alert for heavy rain and strong winds on Sunday. Monday might be clearer but after that it looks like it could get seriously stormy at altitude. The alert for rain means snow is likely at Teide National Park level, so I wouldn’t be surprised if roads to Teide were closed at some point. Not a good outlook, sorry. But you can keep an eye on how things look up there using this link to a webcam at the observatories. In your experience does high level cloud ever engulf Tiede, and the lower level plateaus, observatory etc around 2000 meters? Every time I have been at the end of winter (early or late March), it has been sunny, starry skies on the mountain, even if the coast is engulfed with low level cloud. I run nightscape workshops across Europe and have reccied Tenerife a couple of times now in light of using it as an astrophotography workshop location, would like to put something into action, in March. Apologies for the slow reply but we’ve been hiking across Andros in Greece. Most of the year the cloud lies around the 1000m and just above level, leaving Teide National Park in glorious sunshine during the day and clear skies at night. But sometimes you do get high cloud which can either be above the mountain or at times actually engulf the park. The bad news is that it’s more likely to happen during change of seasons with Feb/March being one of those times. At some point in that period there is usually snowfall which results in the park being closed. It doesn’t last long and the authorities do their best to open roads as quickly as possible. It’s just a matter of luck at that time I’m afraid. Hi, we have just returned from Los Cristianos and loved it. We want to return next year but are debating between the school holidays..is end of May or end of October likely to be better weather? October is usually a particularly good month, more like the end of summer. Only one thing to be aware of, towards the end of the month is when the seasons start to change and that can occasionally mean a storm. That doesn’t normally happen in May, but temps aren’t as warm as in October. Went in November last year temperature around 21-25 degrees. Heat in Tenerife seems different to the heat in uk.another reason we go early November it’s peaceful no screaming kids around! We are travelling to Santa Cruz on 23rd October and staying at Iberostar Grand Hotel Mencey for 2 weeks. We want to experience the culture and get out and about, but are also hoping to have some R & R time around the pool. Is it likely that we will have enough sunshine to warrant packing swimwear? Despite what people who don’t know the city think, Santa Cruz enjoys some of the most sunshine hours on Tenerife. Definitely pack swimwear. Unless you’re unlucky with a weather front moving in, and this year has been an odd one across southern Europe, October can be one of the nicest months weather wise. It’s a great little city for exploring. From Spanish Met Office predictions there isn’t much of a difference between the the forecast for the south and the north of the island. This often happens at the end of October and beginning of November when the seasons start to change. If you decide to move then have a look at somewhere in the south west (Los Gigantes to Playa San Juan area) as that tends to get the best of the sunshine. But it does look as though this is a weather front which will affect the whole island. The forecast shows sunshine as well, so it’s often not as grey as it looks. I have tended to find cloud forms during the afternoon I think this is a result of an anabatic wind The sun warms up on the slopes of mount taide the air rises and drifts out to sea drawing in the moist air from the sea Which rises and forms cloud At night the process is reversed (Katabatic Wind.remember the cats come out at night) and the cloud dissipates For up to date weather try (Allmetsat TAF. METAR. )Aviation weather in plain English and not met code. TAF Terminal Airport Forcast (weather for the next 24 hours.) METAR Met Terminal airport report the weather during the last hour. Thanks for that. Interesting and useful to know. Im coming over to Tenerife next Tuesday with my adult kids. We are staying in a villa in the sticks ‘Tijoco Bajo’ Adeje. We are only coming over for 4 nights as we just need a break, however contemplating whether to hire a car or just get a taxi into playa then get a taxi up to the villa, taking the drivers card and using him for the duration. What do you think! Im not good at driving on the wrong side of the road so refuse to do so, my son is 23 and my daughter 25, my son will drive but its turning out expensive. The other reason I kinda thought about a car is if the weather was cool and cloudy in the mountain, we could then chase the sun. Are taxi drivers good at English and do you think this would be a reasonable idea just using the same driver. You should find that taxi drivers speak English. If anyone’s a taxi driver there it’s because of the tourism industry. Personally I’d opt for a car. Tijoco Bajo is just a wee bit detached from the tourism centres. It’s not really far, but far enough to make getting there and back without your own transport more time consuming. Something to think about if only staying for 4 days. Additionally, it’s a decent location for trying out different locations. 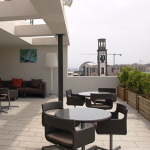 For example, you’re not too far from the more upmarket western end of Costa Adeje. But neither are you far from the more Canarian Playa San Juan. In the end it all depends on whether you head to the coast each day, as taxi fares could soon mount up.